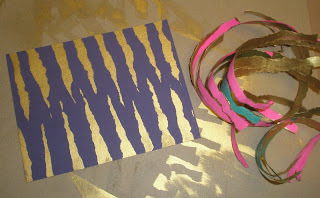 This is a follow-up to the Masking 101 tutorial we did a few weeks ago. I mentioned we would be posting other ways to use masking for creative card designs. 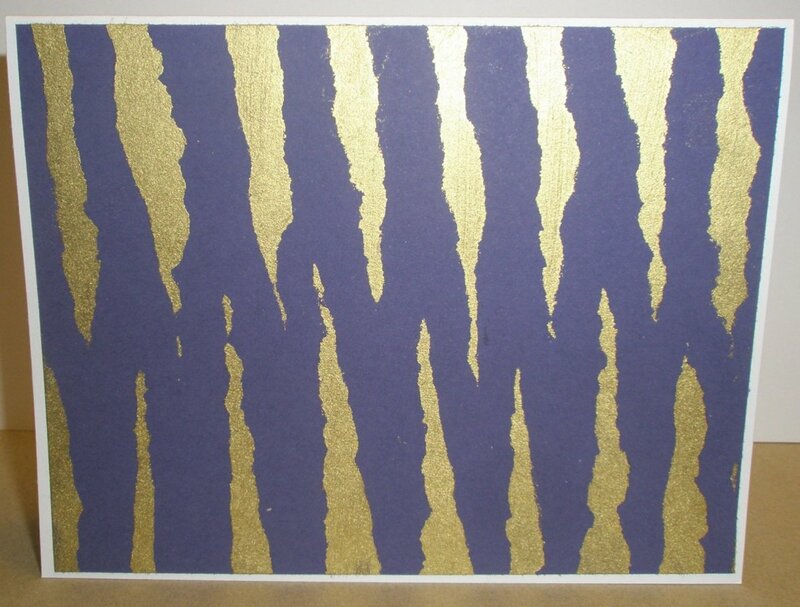 Check out this tiger-striped card Julie made for a charity fundraiser featuring LSU-related items (Geaux Tigers!). 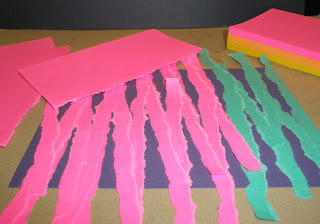 She started with torn strips of sticky note paper, and set them on a piece of purple cardstock in a kind of criss-cross pattern. I'm glad we have the pictures. It would be hard to describe. Click to enlarge. Then she applied gold craft/pigment ink directly to the paper. 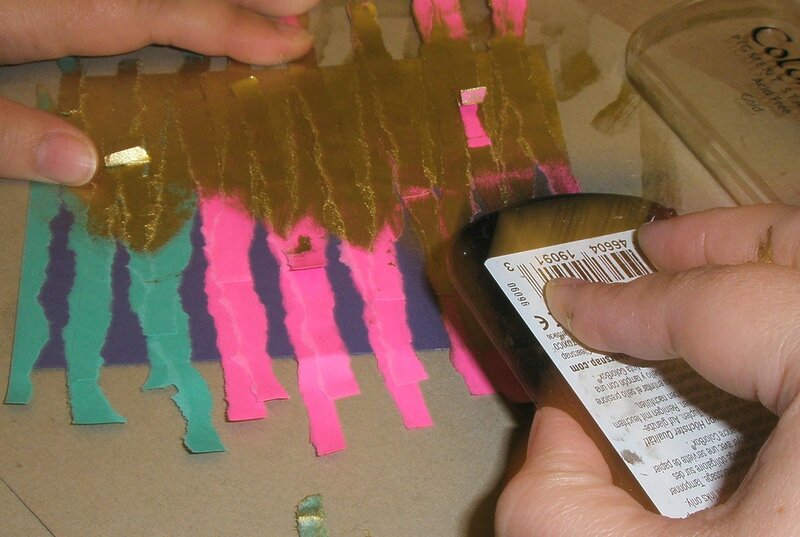 After letting it dry, she removed the sticky note strips to reveal the tiger stripes. 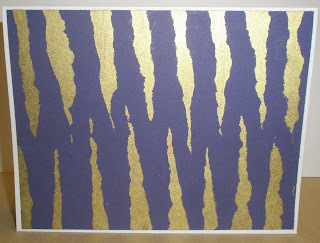 This same technique in different colors could as easily look like a zebra. For an example of how to use masking with a bouquet of flowers, This is a fantastic video from Shelly's Memorial Day blog hop post. It's really clear and easy to follow. Notice how she stamps an image of anything she wants "in front" (not covered by the other stamps) on a sticky note, then cuts it out and lays it over the stamped image on her card. Special thanks to both Julie and Shelly for contributing to this week's tutorial. Leave a comment and let them know how awesome they are! Remember, if you have suggestions, or you would like to contribute to a Tuesday Tutorial, please write kate@operationwritehome.org. This is a super idea! Thanks Julie!